Top Rated Top Reviewed Dealership In Beaverton Or. Like New!!! 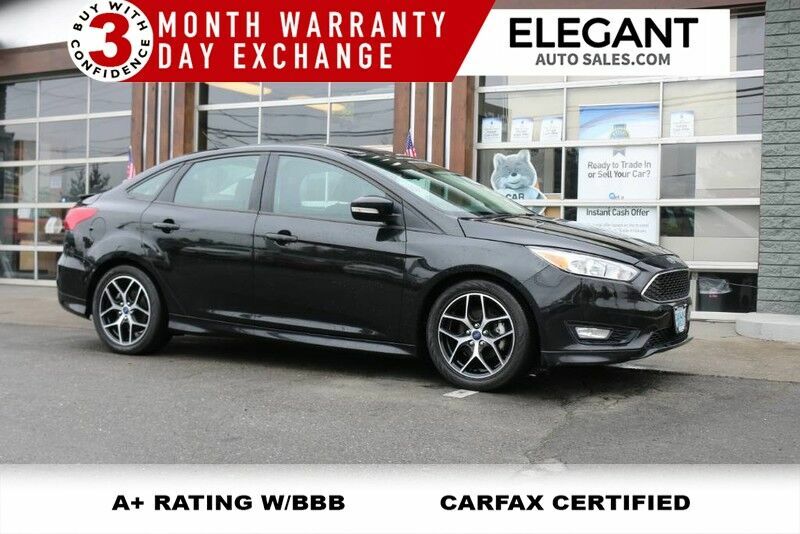 2015 Ford Focus SE Sedan - Keyless Entry, Power Windows, Power Door Locks, AC, Cruise Control, AM/FM/CD Stereo W/ USB & Aux Inputs, Steering Wheel Mounted Audio Controls, Bluetooth Handsfree, Backup Camera, Automatic Headlights, All Season Mats, Alloy Wheels, Newer Tires, Fog Lights. 1 Owner, Locally Owned, Clean Carfax - No Accidents.... Buy With Confidence - 3 Month Powertrain Warranty & 3 Day Exchange.